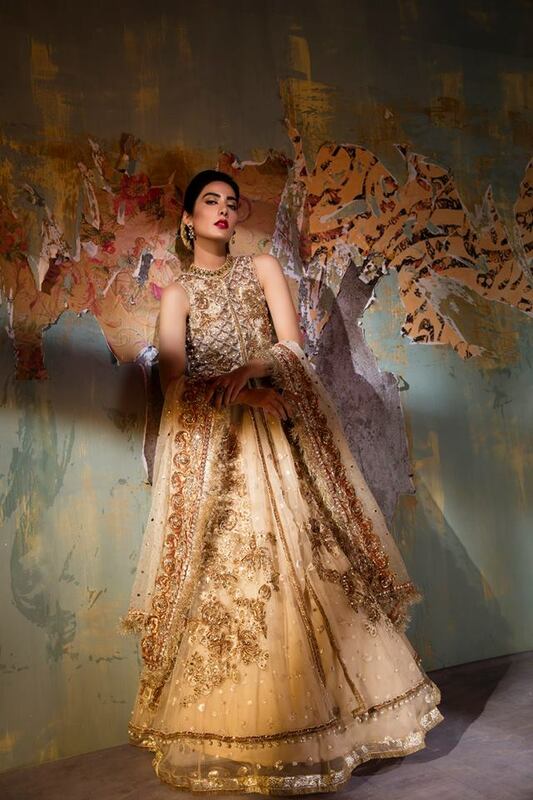 SFK introducing latest bridal dresses 2019. SFK a well known passionate fashion designer also introducing magnificent ideas in Bridal wear for chic and sophisticated women. SFK truly a innovative fashion designer of Pakistan bring some amazing ideas for fashion lovers women. The Silk bridal ensemble offers a slew of chic silhouettes; detailed with intricate hand-embellishments, and lush fabrics that drape softly for an undeniably feminine, yet dramatic, look. 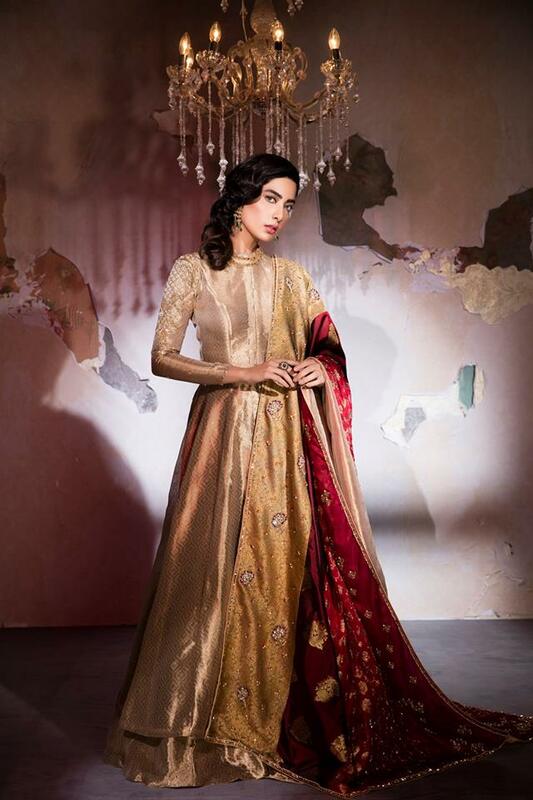 Key to the SFK bridals ensemble are its separates, creating a new dimension and versatility to each outfit, encouraging brides to find ways to wear their bridal day separates after the wedding day is over. 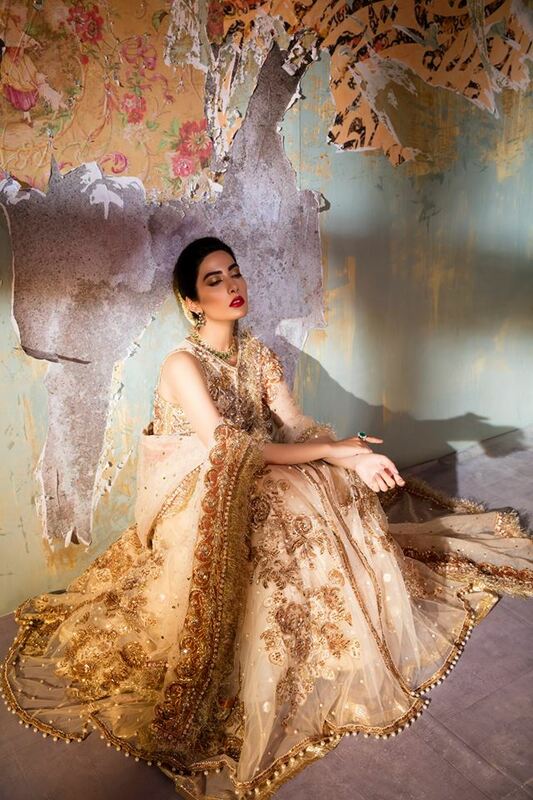 The Silk Bridals becomes a truly luxe investment piece that can be enjoyed again and again, with a timeless design that can achieve heritage status.Silk by Fawad Khan and SFK Bridals is the brainchild of Sadaf and her husband, Fawad Khan – one of Pakistan’s most beloved actor, musician and leading personalities. Designed to appeal to the fashion-conscious woman looking for elegantly tailored outfits in a range of original styles and exceptional looks, from vibrant, contemporary prints to traditional handicrafts and embellishment techniques on luxurious fabrics. Here we published some latest bridal dresses introducing by SFK bridal hope you like well. Stay with us for more updates about latest collection by leading designers and clothing brands of Pakistan. 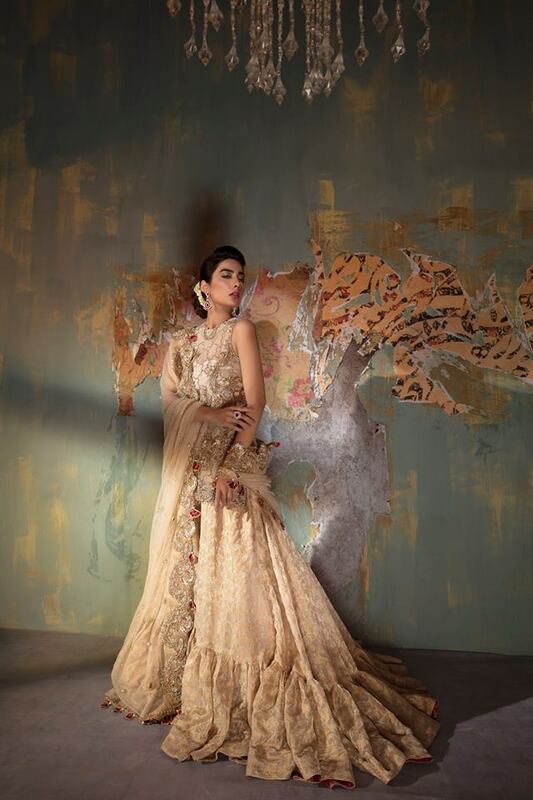 SFK Bridals debuted earlier as Silk by Fawad Khan in the year 2012. The brand started out with an exclusive focus on silk designs in chic classic silhouettes. 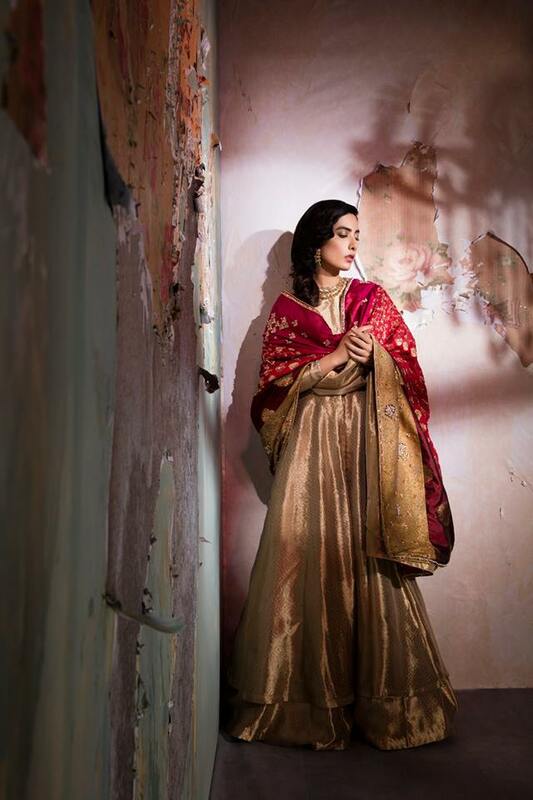 The brand later evolved as a complete design house offering bridal and formal couture for both men and women under the label -Sadaf Fawad Khan Bridal in 2016. 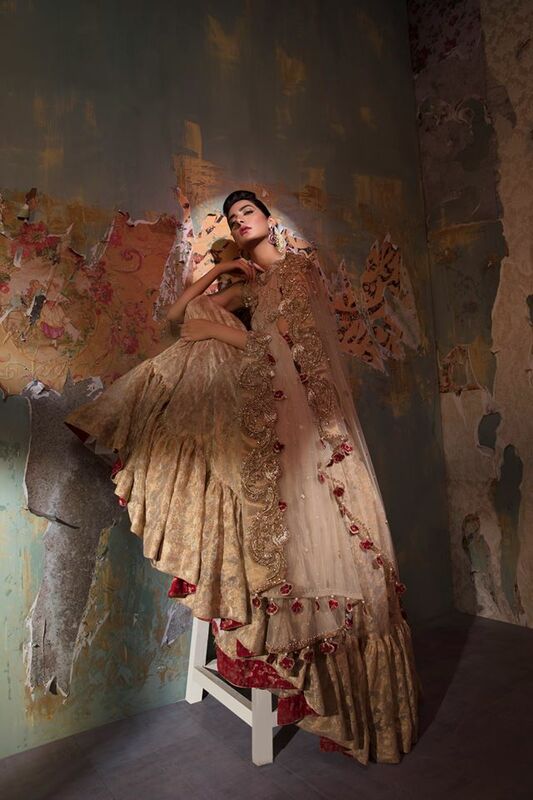 Sadaf Fawad Khan Bridal designs exhibit a range of original styles with elements of both traditional and contemporary inspirations. We take pride in our unparalleled craftsmanship and flair of unique techniques reviving traditional aesthetics with a modern twist, a signature to which the House is very loyal to. We are on a continuous quest for fine craftsmanship, glamor and reverie. We aspire to create and recreate fashion through the blending of diverse design and aesthetic elements, committing ourselves to offering nothing but the highest of quality through our creations. 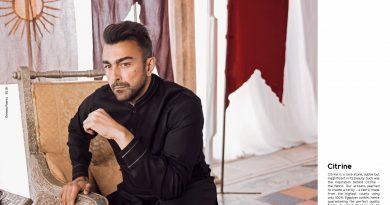 Helmed by Sadaf Fawad Khan, wife of actor Fawad Khan, the brand’s been flitting in and out of our social media feeds, with shoots that usually feature Fawad in a groom-esque avatar, smoldering next to a model wearing heavily embellished wedding-wear. Sifting past the star power, though, our initial sneak peeks of the brand do hint at an interesting aesthetic that dabbles with traditional intricate embroideries and modern silhouettes. 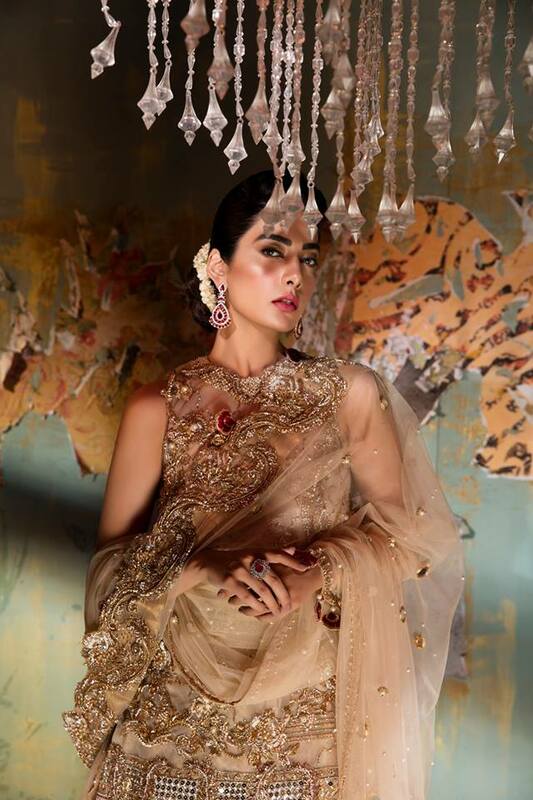 The PLBW catwalk may as well prove to be a litmus test for Sadaf where she shifts focus away from the star power that is an inevitable part of her brand and proves her mettle as a designer.